The Olympics. An experience of a lifetime. The flame. The atheletes. The venues. The events. The winners. Those athletes who leave nothing behind on the track, even if they place last because years of hard work and sacrifice should mean something at the Olympics. The crowds, thousands of happy people from all over the world, gathering together in the one place at the one time to celebrate the better side of humankind. The experience of a lifetime. A positive experience of a lifetime. And so then it should come as no shock to anyone that every brand that has paid handsomely for the right to have the Olympic logo next to theirs wants to be part of your experience of this event. After all, the IOC itself has some nice wording to potential sponsors about the benefits about being involved with the Games, one of the experience events of world sport. The one thing the internet can never ever match with offline products is the experience side of things. Experiential marketing is now massive with all brands, especially the retail ones, who have even the smallest offline presence. So how is this being done in London? Where is the tie in to brand/engagement and the Olympic experience most noticeable and is this way over the top? 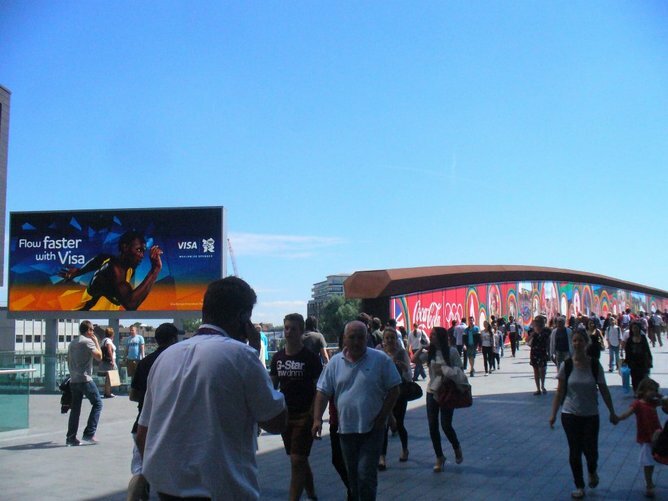 My good friend, fellow marketer and current London resident, Tim Ivins (@tim_ivins), supplied me with some nice images of how the big brands on the ground are trying to engage the audience and therefore link their brand to that positive Olympic experience. Let’s have a look at some. 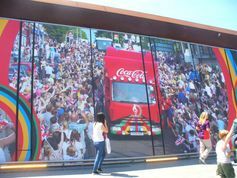 Coke as an Olympic partner, the top tier of sponsorship, will be integrating everything in relation to marketing comms to hit their ROI figures. 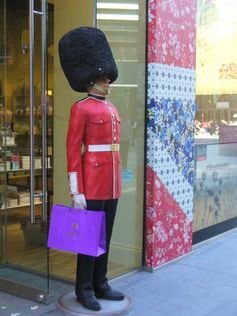 Advertising, sales promotions, sponsorship, event and online will all be integrated with each other, both in London and around the world. The aim will be to engage with the market, to link the positive, happy and healthy images and experiences of the Games with that of the brand to build positive attitudes to the brand and the products. The above photo of Coke says exactly that. 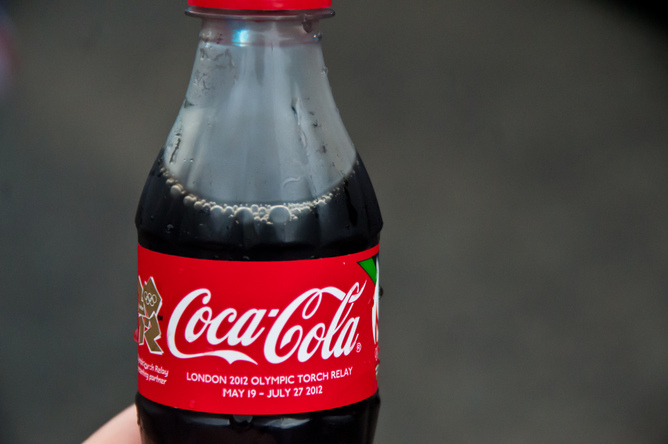 On the way to/from a positive Olympic experience, Coke will be right next to you. Your buddy. Your fizzy buddy. And of course, when you’ve finished consuming the product, what better way to remember the Games than something you’ll keep forever. Cue the collectable. In this case the Olympic Pins. 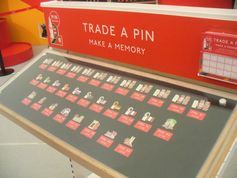 The countdown pins always prove popular with those looking for a memento that won’t break the piggy bank or luggage limits. Then there is the nice side effect of the brand being so overwhelming at the location that the photos you take will all have the brand somewhere in the background, and therefore exposing friends, families and readers of blogs to the brand. 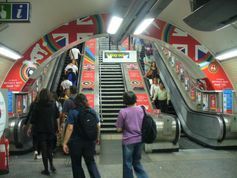 Such as below where Coke is at Hyde Park Corner Tube station. Of course, the athletes are the real stars of the Games. Hopefully untarnished, drug-free stars. And as stars they make powerful endorsers, pulling the consumer to the product. And the experience. So brands of course try and link themselves to the athletes, the athlete links to the experience. In London, Visa seem to have done this quite nicely. Usain Bolt, the star of the star event of the track and field, should prove a nice little earner for Visa. 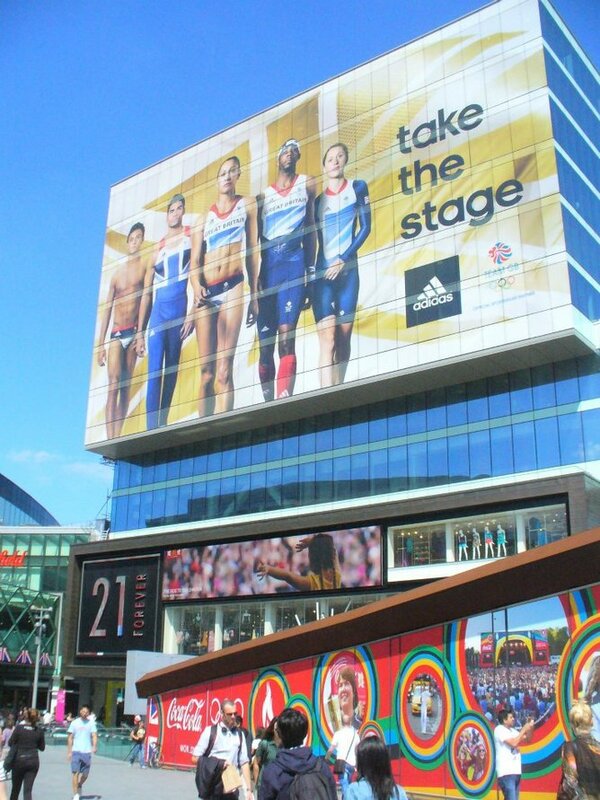 Adidas have a whole team of stars they can call on to assist with their experiential marketing at London. Of course, not all brands are heavily cashed up sponsors of the Games. Some are trying the guerrilla path of being part of the experience by being right near the experience. Bosco are one smart brand who are team sponsors, but not Games sponsors. 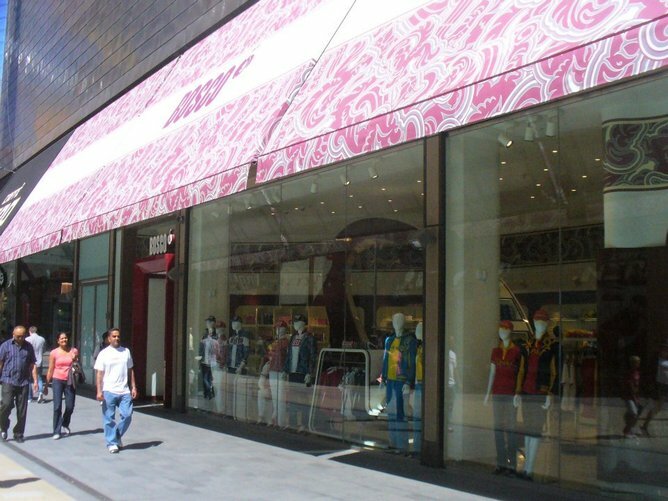 Their store in the Olympic Mall has lots of glass to engage with consumers and invite them in for that nice bit of clothing. 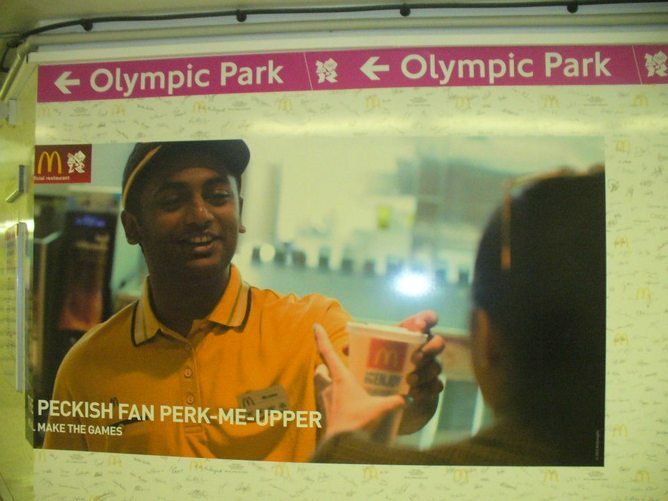 McDonald’s of course have the stores close to the Olympic venues, but to differentiate themselves from the other brands based on the experience they are encouraging consumers to engage with them by using their own language when ordering food or being at the outlet. Not a bad effort, and of course well integrated around the world with a very smooth IMC campaign.